The Men's Cerium LT Hoody from Arc'teryx is a lightweight down piece that is highly versatile, functioning as a warm mid layer or stand-alone piece. 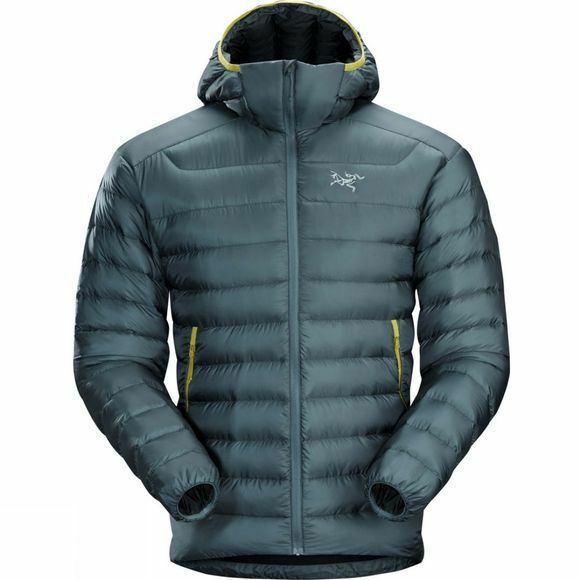 The Cerium Hoody uses Down Composite Mapping, a construction method that strategically places Coreloft synthetic insulation in areas where moisture may accumulate, and 850 fill European goose down in the core to provide maximum warmth in cold conditions. Its super lightweight profile has been achieved through the simplified jacket construction and the lightweight yet durable face fabric, which is also DWR treated to repel moisture.